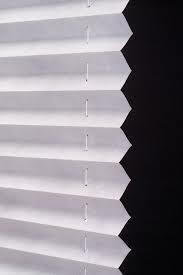 PLEATED SHADES …consist of a single laminated folded layer available in several appealing colors. 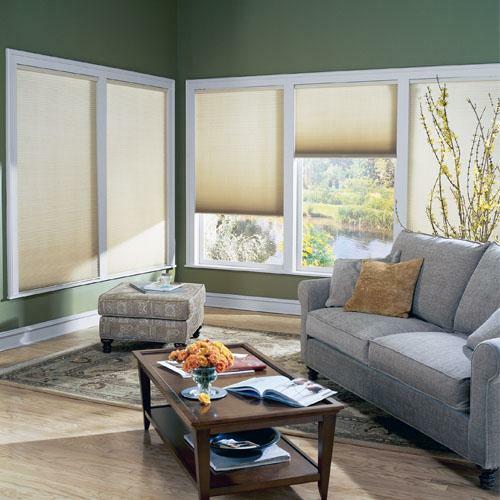 Greenfield Blinds & Shutters Window Pros has been creating fabulous Custom Window Treatments and Custom Pleated Shades for discerning Clients in Greenfield Indiana for over 10 years. 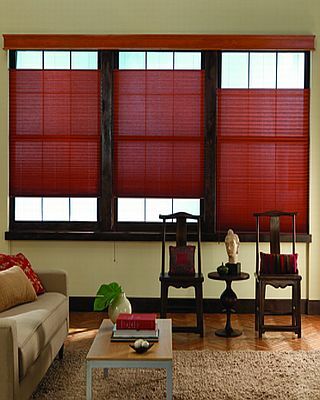 Pleated shades are designed to fit nearly any opening,even Skylites, Arches and Ovals. 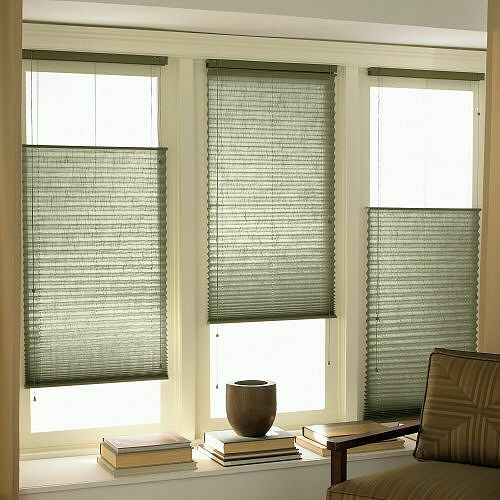 These durable pleated fabrics keep their edge year after year and resist fading,sagging and drooping. 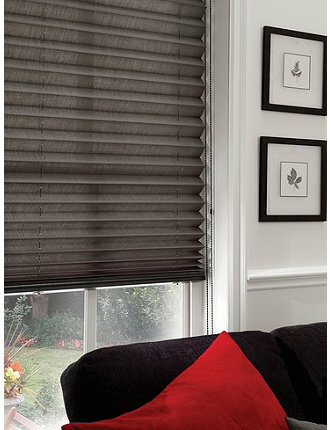 While priced affordably, they can be black–out lined for privacy and room darkening.